EY announced that Partner Edie Jaworksi has joined its Bermuda office, after spending more than 18 years in EY’s New York office, working closely with insurance clients. Jaworski’s experience spans audit and advisory services for property/casualty and life and health insurers, as well as reinsurance companies. She also has experience in US GAAP, SEC and statutory reporting. Her responsibilities include supervising audit teams, overseeing reporting processes, coordinating with controllers and chief accounting officers, and working closely with other audit specialists. “We are very pleased to have Edie join our insurance practice,” said David Brown, EY Bermuda Ltd. Senior Partner and Regional Insurance Leader. 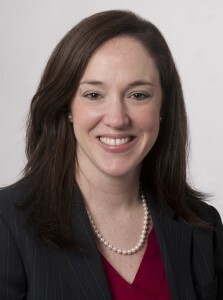 Jaworski received her bachelor’s degree in Finance and Accounting from Rider University and is a Certified Public Accountant in New York and New Jersey. EY Bermuda Ltd. is part of a fully integrated geographic region known as the BBC [Bahamas, Bermuda, British Virgin Islands and Cayman Islands] that is operationally aligned with the US firm’s Financial Services Organization [FSO]. yah: BAA is a really well run club, safe and orderly.Bad pennies everywhere. BringitBr: 24 hour shut down for BAA!? Seriously though: Individualism in Humanity destroys community! Come on man!! : Let's see if they get shut down for 24 hours.